The internet has created things. And people. And it's liberalised everything. And imprisoned some things. In the dungeons of history. The internet has also democratised our lives. It's an endless pit. Shadowing anything ever created by man. The internet has made everybody a content creator. You're reading this because of the internet. Before today, you'd be reading my pieces in Kenyan dailies. In the Letters to the Editor section. But I neither need an editor not a daily. This is the age of the internet. Everybody has become a photojournalist. Yet those essays, pens, paintings, photos etc have ownership. Owners have rights. Enforceable, costly, complicated. Let's talk photos and pictures. In the day of Instagram and Facebook and Pinterest you're talking about billions of pictures and photos being uploaded every day on the internet. Roughly 800 are posted on Instagram per second. More than 200,000 are uploaded on Facebook every minute. They range from mundane everyday records of birthdays, weddings, funerals, sports, to photos of nature and disaster. Those who post them don't know their rights. Those of us who pick and use them, as I always do for my PowerPoint presentations, likely break the law because we infringe on copyright! A sophisticated professional photographer like my friend in Munich, Dr Oehlmann may have the knowledge and wherewithal to pursue litigation against illegal users. My villagemate in Kenya, Mwalimu Wilson Meli, who cherishes morning shots of happy bird chirping away at the early sunrise has no idea where his latest upload had ended! He posted it on Facebook. It was picked by a nature enthusiast in London and it suits as a screensaver on her laptop! Enter Copytrack. And after that KodakOne. Both buying for the lucrative but humongous market space. One more experienced. The other, sort of reinventing itself. 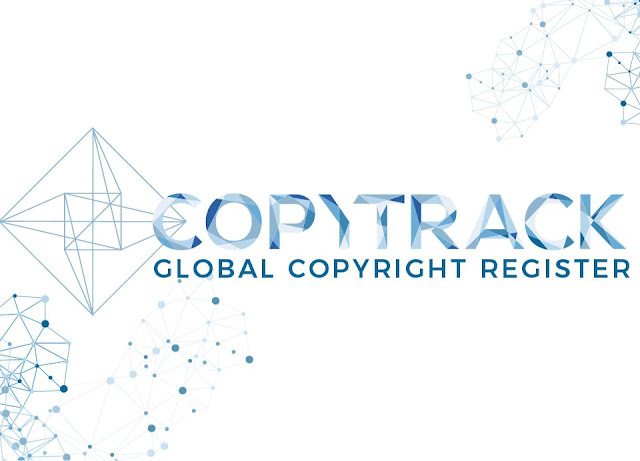 Copytrack has been in business fighting copyright infringement. It's an existing business. With active tools. Running after culprits and securing settlements. Kodak missed the digital revolution. It wants not to miss the Blockchain Revolution. Both are pitching tent in the latest technological muscle of the internet. Copytrack seeks to expand, and speed up it's work while cutting costs. They've decided to launch an ICO, the CopytrackICO. As I've said before, I no longer buy cryptocrypto. I invest in ICOs that are backed by real assets. Real business. Led by people with relevant skills. That's why I find CopytrackICO persuasive. Because of the profiles of the team and the fact that they're already in business. Investing in such a company allows me to share their vision. Their token becomes a form of share for me to be part of their dream. Makes me a kind of shareholder. So in this image copyright space in sure Copytrack has the Usain Bolt headstart. With the overwhelming support from close to 10k members in their Telegram group and thousands more on Twitter and Facebook plus the Blockchain community, this team of typical German Mittelstandunternehmen (SME) is going to launch into space right in the hearts of the army of enthusiastic supporters. To many people, KodakOne is playing opportunistic in this entry. And they've their battle lines well drawn out for them! May the photographers win with the best, and most carrying company that has a track record and depth of skill to cater for their needs.